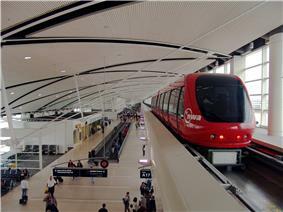 The Detroit metropolitan area, often referred to as Metro Detroit, is a major metropolitan area located in Southeast Michigan, consisting of the city of Detroit and its surrounding area. There are several definitions of the area, including the official statistical areas designated by the Office of Management and Budget, a federal agency of the United States. 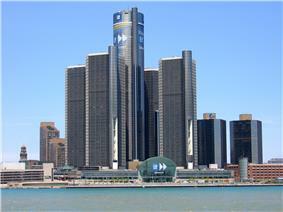 Metro Detroit is known for its automotive heritage, arts, entertainment, popular music, and sports. 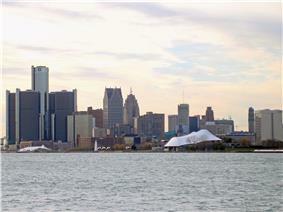 The area includes a variety of natural landscapes, , and beaches, with a recreational coastline linking the Great Lakes. 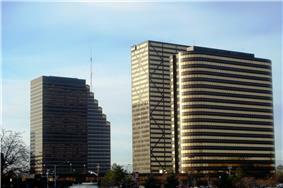 It is one of the nation's largest metropolitan economies, with seventeen Fortune 500 companies. 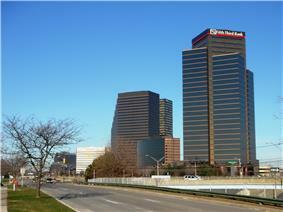 Metro Detroit is a prominent business center, with major commercial districts such as the Quicken Loans (Downtown Detroit), TRW Automotive Holdings (Livonia), Ally Financial (Downtown Detroit), Carhartt (Dearborn), and Shinola (Detroit). 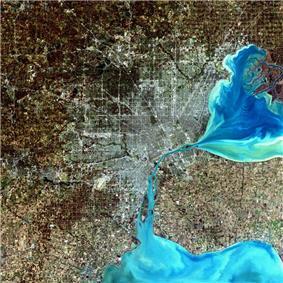 In the 2000s, 115 of the 185 cities and townships in Metro Detroit were over 95% white. Of the more than 240,000 suburban blacks in Metro Detroit, 44% lived in Inkster, Oak Park, Pontiac, and Southfield; most of the African American population in the area resided in Detroit, Highland Park, Inkster, Pontiac, and Southfield. 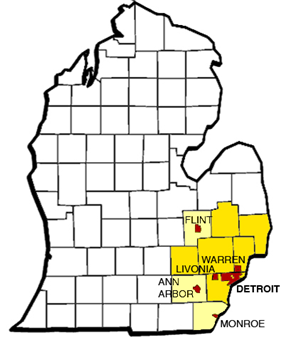 † - Wayne County Seat. St. Clair County International Airport (near Port Huron, Michigan) - An international airport on the U.S. and Canadian Border. 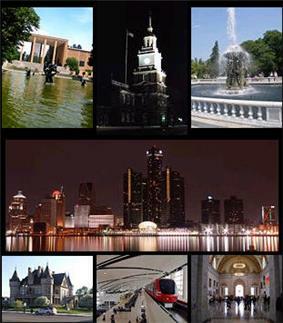 Metro Detroit is served by eight telephone area codes (six not including Windsor). The 313 area code, which used to encompass all of Southeast Michigan, has been narrowed to the City of Detroit and a few close suburbs. ^ "Revised Delineations of Metropolitan Statistical Areas, Micropolitan Statistical Areas, and Combined Statistical Areas, and Guidance on Uses of the Delineations of These Areas" (PDF). OMB BULLETIN NO. 13-01. 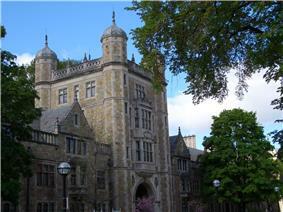 Executive Office of the President, Office of Management and Budget. Retrieved 4 April 2014. ^ Windsor, Ontario. Retrieved on July 18, 2010. ^ Schroeder, Robert (July 30, 2010).Obama says U.S. auto industry on rebound. Wall Street Journal. 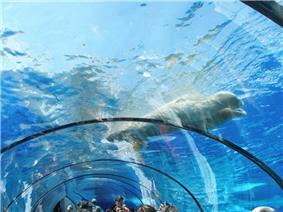 Retrieved on September 9, 2010. ^ GM posts profit, CEO Whitacre to retire.CNN Money. Retrieved on September 18, 2010. ^ Eisenstein, Paul A. (April 2012). "Assessment of tax revenue generated by the auto industry" (PDF). Center for Automotive research. Retrieved December 2, 2012. ^ Mink, Randy, and Karen Mink (July 2001).Detroit Turns 300 - Detroit 300 Festival. Travel America, World Publishing Co., Gale Group. ^ Gibson, Campbell (June 1998). "POPULATION OF THE 100 LARGEST CITIES AND OTHER URBAN PLACES IN THE UNITED STATES: 1790 TO 1990". Population Division, U.S. Bureau of the Census. Retrieved 2010-07-18. ^ "CENSUS OF POPULATION AND HOUSING: DECENIAL CENSUS". U.S. Bureau of the Census. 2000. Retrieved 2010-07-18. ^ "Annual Estimates of the Population of Combined Statistical Areas: April 1, 2000 to July 1, 2009". US Census Bureau. Retrieved 2010-07-18.